Having played four Clue HQ games (across two of their sites) already, I had a pretty good idea of what their games are like: padlock-heavy rooms where it’s likely to be the number of puzzles rather than their complexity which gets to you. However, this was my first time in the Manchester venue which, like its Warrington counterpart, is hidden in the arches of a railway with the waiting area at the front and a long corridor down the side that branches off to each game. 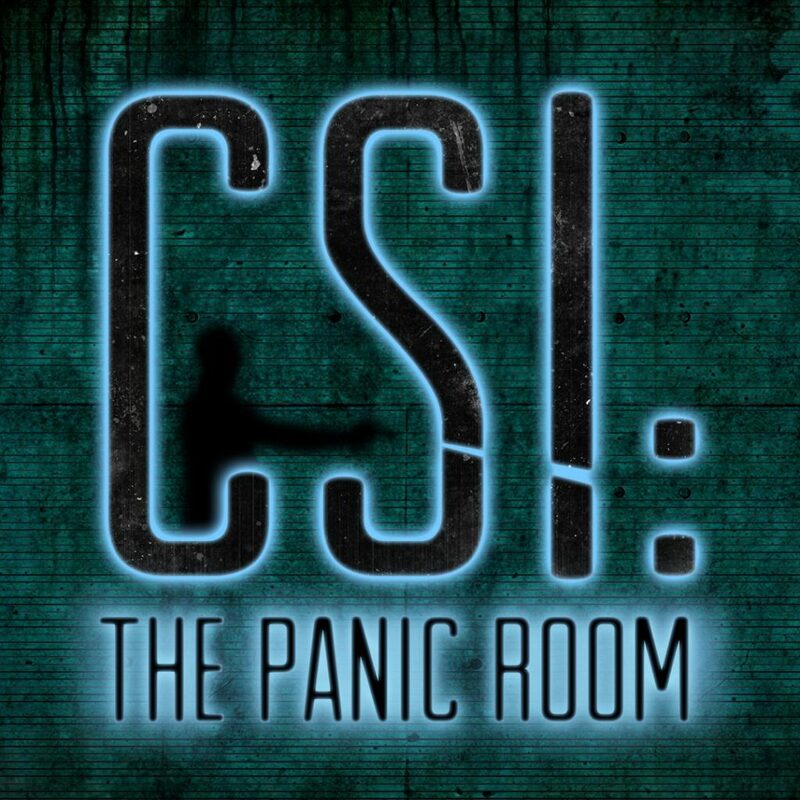 I’d heard tell CSI was a bit different, so I was curious to see what direction they’d gone in. Armed only with your evidence kit, the crime scene and a database of over 500 potential suspects– it’s up to you to solve the case before the murderer gets away. As I said, Clue HQ have a reputation for padlocks. Lots of padlocks. You can forget that here. Yes, there were padlocks, but they’ve gone down a very different route in this game, with far more electronics to handle your solutions. It’s possible that I had to try the same code in two different places but, if I did, I don’t remember. High-tech kit played a big part in this game – that centrepiece set of puzzles mentioned above was just one of three things that would have been a proud part of any game. The central mechanism to replace padlocks was the interface to the suspect system (mentioned in the introduction above), and that worked very well as an on-theme way of solving clues. Indeed, this game had a whole host of puzzles that felt very natural in the game. That was a double-edged sword, though, because it also had many which didn’t, and I found that contrast grating. Strangely for a game that felt so professional, it also felt rough around the edges: we lost a key through a gap in one of the pieces of furniture (fortunately, we managed to retrieve it with our MacGyver skills), a control device in the game was temperamental, another set of props were incredibly stiff, a puzzle had a slight inaccuracy in one of its images, part of one of the puzzles was jury-rigged with string and wasn’t properly calibrated… That’s an astonishing amount of “not quite working” for what was otherwise a very professional game. Coming into the end sequence, we were desperately short of time due to struggling with the opening of the game. Although there is something that gives you a sense of progress during the experience, it’s not at all obvious how close you are to the end, and so we kept thinking it might be over only to find that we still had one more puzzle to solve. This might cause a repeated shot of adrenaline in some circumstances, but the rough edges described above meant that the final escape was flat rather than exciting. We escaped with about eight minutes remaining, having taken something like seven clues. This should have been a game that I loved. It was impressively produced, with several props that would have been centrepieces in most rooms. It easily had the potential for being the best game in Manchester but, for me, it tripped itself up too often. The rough edges need to be smoothed and more direction needs to be given to some of the puzzles – all too often we’d get a clue and feel like, yes, it made sense, but we’re not sure how we’d have got there on our own. Having said all that, this game made me excited about Clue HQ – it had plenty of fun puzzles, got rid of my biggest hate about their rooms and left me keen to see what they can produce next!